Pastor Tim graduated from Concordia Seminary in 1985. 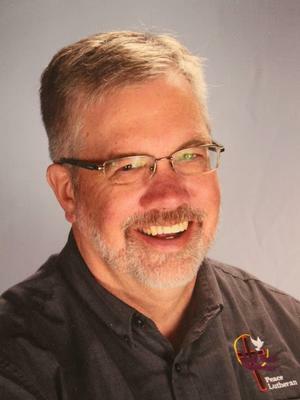 He has been pastor at Peace Lutheran since 1996. Along with his pastoral duties, he is Principal of the ECC Center, and teaches at the Institute of Lutheran Theology. Stacy is first and foremost a mom of 4 boys, Kaig, Seth, Benjamin and Jake. She has worked at Peace since 1998. She has a Child Development Associates degree. When she's not working, she enjoys spending time with her family, shopping, rummaging, crafting, boating at Okoboji, and reading. She loves watching the kids at Peace ECC learn new things, and seeing that moment when they understand they can do things themselves and how things work. She also loves her co-workers and the team work they share and support they give one another. Being able to share God's Word with the children makes her job extra special. Stacy adds, "I'm so proud of our Church and Center! We have come a long way and have provided a much needed service to our community!" 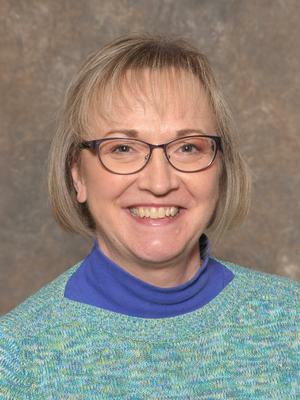 Ruth Rynearson has been employed at Peace Lutheran Early Childhood Center since August of 1998. During her years here she has worked in many different capacities. Ruth started out as the preschool teacher. From there she moved to working only in our Daycare Center, where in addition to being the assistant director, she has been an assistant teacher in most of the rooms as well as the Waddler teacher. About 7 years ago Ruth made the switch to being the full time cook. As our center has grown her responsibilities as the assistant director have grown as well. Currently Ruth manages the kitchen and does whatever tasks she needs to do to help Stacy our director with running our center. The thing Ruth likes most about her job is being able to spend time with young children who are excited about learning new things and sharing their enthusiasm about life with others. She is also happy that she is able to share the love of Jesus with the children she comes in contact with on a daily basis. Ruth is married to a wonderful man named Tim, she has two great children (three counting her son-in-law), and two amazing grandchildren! Shannon graduated from SDSU with her B.S. in Early Childhood Birth to age 8 and a Special Education Endorsement. While in college she worked for Peace for two years. 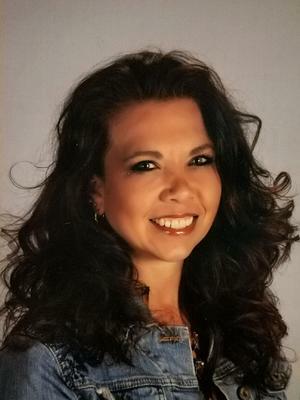 She returned in the fall of 2012 and spent one year teaching Preschool. In August 2013, Shannon moved into her current position as Lead Infant 1 teacher. During her free time, Shannon enjoys spending time with her family and friend, taking pictures, and creating photo books. Sara has worked at since September 2002. She has an Associates Degree in Early Childhood from Minnesota West in Granite Falls, MN. At work, she enjoys working with all the great people that work here, and that she's able to bring her own children to the Center and see them as often as she can throughout the day. Outside of work, she enjoys rummage sales and spending time with family and friends. Heidi graduated from SDSU in December 2012 with a B.S. in Early Childhood Education (Birth - 5) and Kindergarten Endorsement and a minor in Human Development. She worked at Peace throughout college. She loves working with the all of the children, and to see them grown and learn more and more everyday. Outside of work, Heidi enjoy spending time with family and friends and spending time outdoors. Abby has been with Peace since 2016 as a college student. She spent most of her college days in the Infant rooms. Since graduating from SDSU, she has taken on the leadership role in Toddler 1. In her free time she coaches gymnastics and enjoys spending time with her nieces. Stop back for more info on Sami! Teacher Sarina graduated with a Baccalaureate degree in Early Childhood Education Birth-Age 5 from SDSU. She also obtained minors in both Spanish and Leadership. She has had previous student teaching experience in a 4/5 year-old and 3/4 year-old classroom. She's excited to see what kinds of books, lessons, and experiences she will to explore with her students! Erin graduated from South Dakota State University with a B.S. Early Childhood Education Birth-8 and a minor in Human Development and Family Studies. While she was in college she worked for Peace in the downstairs classrooms. She also did her Preschool Practicum here at Peace in the preschool classrooms. 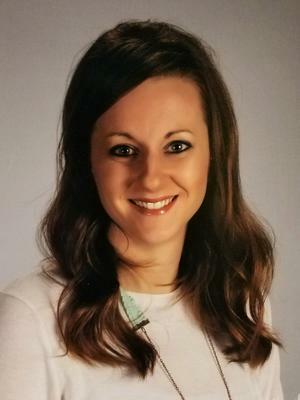 In July 2018, Erin moved into her position as Lead Preschool 3 teacher. Erin loves being able to work with the children on getting ready for school and allowing them to explore their creativity. She also loves that her own children get to spend time at Peace, and establish incredible relationships with their friends and other teachers. In her spare time, she loves to spend time with her family. They enjoy tasting new foods, playing games, and playing with their two crazy cats. Stop back to learn more about Teacher Caitlin!